Do you know that the quality ingredients play the very important part in Thai food cuisine? Apart from the clever Thai food recipes which you can find from Thai food online or culinary books. The high-grade product is one of the crucial keys to delivering the intensity and complexity which are the main character of the best Thai food. Many may know that I try my best to create the recipes which you can easily buy the ingredients from your local supermarket. 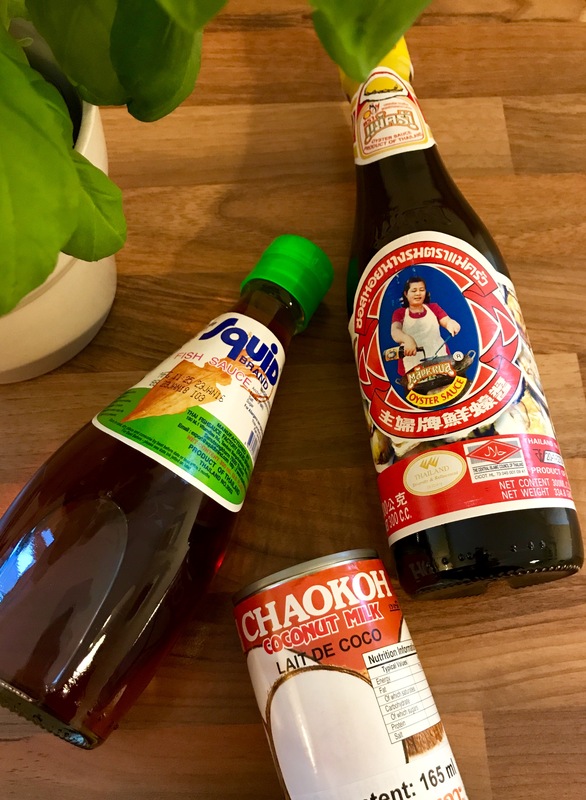 However, these are Thai Kitchen Staples: the essential items that everyone will need, in order to perfect their Thai dishes. My advice is, making sure these products are from Thailand. 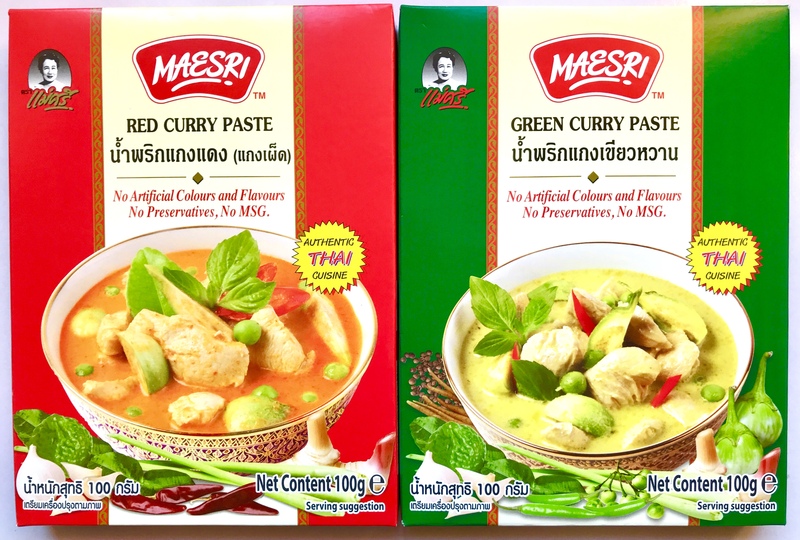 The authentic Thai products are most likely contain a high quantity of natural ingredients i.e. Thai fish sauce contains more anchovies which provide the complex, intense flavours. Thai coconut milk claims that they added less/ non-guar gum than the usual supermarket brand. Alternatively, get organic products. I tended to get these essentials from my local oriental food store. 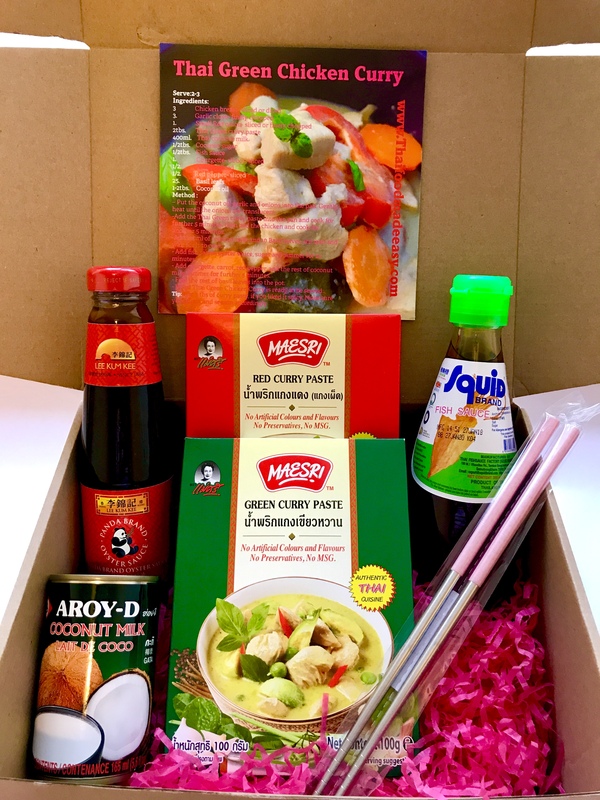 Or you can get my hand-selected Thai Kitchen Staples here: Essential Kits for Thai food. Sorry, that I’m a bit bias but trust me it’s worth the journey or spends money on. Deliciousness guarantee! Good news! You can buy these herbs from your local supermarket. from scratch. Life is too short guys! * Happy Cooking !